Artesanas Campesinas is a native village artisans’ cooperative founded in 1973 by its first president, Flavio Carteño Diaz. The cooperative lapsed after Mr. Diaz´s death, and was renewed May 2000 with the legal establishment of Artcamp SC de RL. artisan traditional producer group families. In the years 2009-2015 Artcamp enjoyed a group of very talented young people who created the Artcamp catalog shopping cart and process of making and editing images and modeling of the pieces by local women. Eventually these kids became discouraged with Artcamp’s lack of success, or for some another reason. Two girls moved to the United States to study, two migrated to Leon, Guanajuato to try to make a living. The cooperative enjoys some very nice webpages, however we are not set up any more to try to market from here. Artcamp’s web properties are available for the use of a distributor. 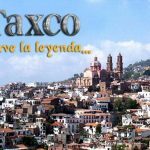 In addition to a functional, graphically-intense shopping cart and catalog, we offer for the use of our distributor, videos and images of our Guerrero culture, as well as videos filmed in our workshops as we make our jewelry. Also we will happily give our distributor access to all of our contacts, prospects, and customers we have known in their home country so we can work together to develop the success of our partner. Our great need now is to develop a relationship with a good customer. If you work with us at this time you’ll have a reliable and loving partner. Our only concern is to generate employment in our home communities. All we want is for our people to be able to stay at home and work. Being in one’s home workshop is better than having to migrate to the United States. (About 50 percent of the male population of Tecalpulco has already migrated to the United States. These men used to return to visit, but now most of them seem to be stuck up there, or have another family.) The artcamp cooperative is made up of women who take care of their families without any help from the men. Yet, you are welcome to visit us without danger. We make your arrangements with a hotel we know is safe, and not in the city center where there are look outs. 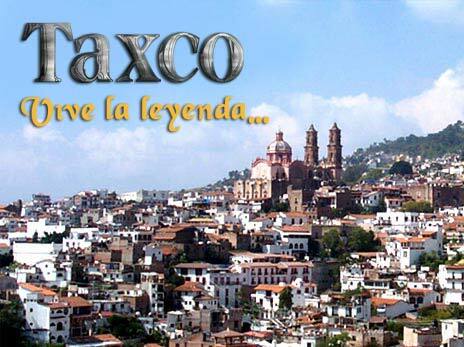 If you come to Taxo to see us, letus guide you, then there is no danger at all in your visiting. Unless you happen to stay in an unlucky hotel, the danger to you as a one-time tourist is non-existent. The danger is to us, not to the visitor, because, if these look-outs see us with a foreigner, they will wonder who we are and watch if we go to the banks. We will happily show you how easy it is to be discrete and you can restfully visit us in our home workshops. You can even stay in our homes if you like. This public security situation puts us all under much pressure and ll the more reason that we value jewelry production work we can do in our homes, close to our families. At the end of the 2000’s Artcamp reached it’s high point with annual sales of almost 150,000usd. 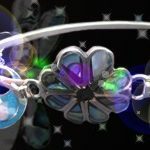 Since then, it has been hurt by competition, sometimes commercial copies of original jewelry designs, also by disloyal customers. Sales for 2016 were about $70,000usd and sales for 2017 are projected to be even lower than that number. 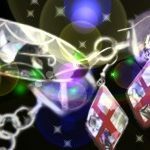 We will be most sincerely grateful if you will distribute our jewelry in your country. You will find out that it sells very well and after that there is no problem. Our product is unconditionally guaranteed for quality. Our jewelry is authentic handcrafted by our village women artisans’ cooperative following the traditional ways of our parents. 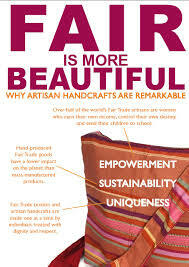 real benefit to artisan producer group and community is Fair Trade Jewelry. nutrition, health, education and homes to our families. This is what we would very much like to be able to say to our children; however, the place of an artisan in today’s market is not what we would wish for our sons and daughters. Still, we are optimistic and hopeful that we will find people who love us and want to help us distribute our jewlery, so we will be able to say this to our kids. If you would like to work with us we will be responsive and sincerely grateful, making sure that all orders are on time, and that the quality is nothing less than perfect. and community. This is Fair Trade Jewelry. 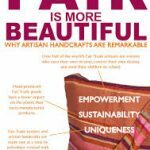 Fair Trade Jewelry means dignity for the artisans. 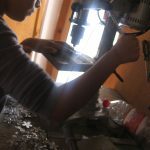 This entry was posted on Friday, May 2nd, 2008 at 2:42 pm	and is filed under Definition of Fair Trade, Jewelry Design Model and Moldmaking, Product Development. You can follow any responses to this entry through the RSS 2.0 feed. You can skip to the end and leave a response. Pinging is currently not allowed.